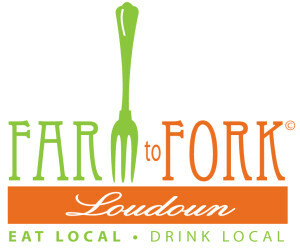 We are proud to be participating in Farm To Fork Loudoun 2015! 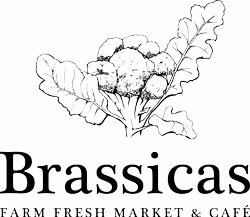 There are 8 restaurants we have partnered with to serve our amazing, beyond organic, farm products. We have completely SOLD OUT of all of our meats and eggs for this event! That means you are going to find a lot of delicious pekin duck, pasture raised chicken, and free-range chicken and duck eggs at some of Loudoun County’s finest eating establishments. A very special Farm to Fork menu featuring our free-range Pekin Duck in a Raspberry-Hoisin Butter sauce with a Shitake Mushroom Saute. See their special menu here. UPDATE 6/23/2015: Chef Bobby Vickers just shared with us how amazing the dish featuring our duck turned out, see for yourself and be sure and stop by the Bungalow Lakehouse this week! Before the roasting process the ducks were poached in honey, ginger and spring onions.. 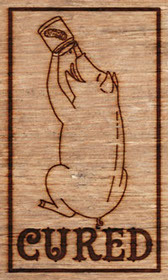 The sauce consists of a heavily reduced duck stock, raspberry vinegar, hoisin, and mounted with butter. 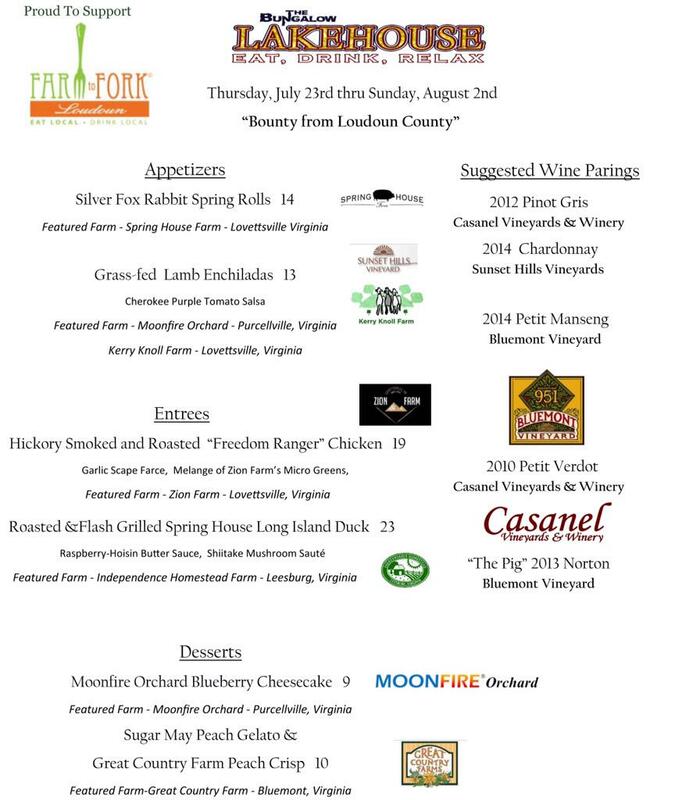 The vegetables are from Moonfire Orchard and Rockwood… Delicious!! 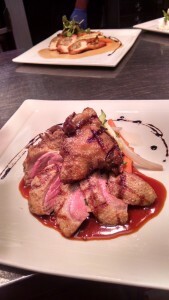 Tuskies will be serving up our Pekin Duck and Chicken in a classic Moroccan dish called Pastilla (or Bisteeya). A tasty meat pie wrapped with phyllo dough and baked. Start your day with their LoCo Breakfast Plate featuring a poached Independence Homestead Duck egg with roasted lamb sausage and bacon, truffled parmesan potato cake with pickled summer beans. Then finish your day right with a pan seared free range chicken breast served with fresh corn grits, confit chicken leg, saute of summer squash, and cucumber red onion relish! You will be in for a treat featuring our pasture raised chicken and free-range eggs! Enjoy our pasture raised chicken in a fresh Chicken Salad Sandwich – Homemade sage mayo, swiss chard, Boursin Derby cheese, and caraway kraut! Get excited for some delicious woodland raised hams and free range chicken eggs! Homemade chicken ravioli made from our free-range eggs and pasture raised chicken! Look for our amazing chicken and duck eggs in their special Farm to Fork menu!